One of the awe-inspiring tourist attractions in Manila, Philippines is the Manila Cathedral situated inside “Intramuros” (a Latin word which means “within the walls”). The Manila Cathedral is known as the premier church and premier cathedral. It is the head of all the churches and cathedrals in the Philippines. The first cathedral was built in 1581 made of Nipa and Bamboo. It was damaged by a typhoon in 1582 and destroyed by fire in 1583. The second cathedral was built of stone and mortar in 1591 and partially destroyed by earthquakes in 1599 and 1600. The third cathedral was built in 1614 and was destroyed by an earthquake in 1645. The fourth cathedral magnificently built in 1654-1681 by Archbishop Miguel Poblete was damaged by earthquake and typhoons and subsequently demolished in 1751. The fifth cathedral was inaugurated in 1760, renovated in 1850 and destroyed by an earthquake in 1852. The sixth cathedral was constructed from 1854-1858 and was destroyed by an earthquake in 1863. The seventh cathedral was built in 1870-1879 under Architects Luciano Oliver, Vicente Serrano Salaverria and Educardo Lopez Navarro and solemnly blessed in December 1879. It was severely damaged by an earthquake in 1880 when its bell tower collapsed. Notably, the center of the cross on the dome is a reference point of astronomical longitudes of the Archipelago. The edifice was destroyed during the Battle of Manila in 1945. The present cathedral was reconstructed from 1953-1958 under the direction of Archbishop Rufino J. Santos of Manila, mainly with the support of the people. The architect was Fernando Ocampo. It was elevated to the rank of Minor Basilica by Pope John Paul II in 1981 and officially named Basilica of the Immaculate Conception. The Manila Metropolitan Cathedral-Basilica, informally known as the Manila Cathedral hosted the funeral of two former Presidents of the Philippines. Carlos P. Garcia, the 8th President of the Philippines, in 1961 and Corazon Aquino, 11th President of the Philippines and mother of current Philippine President Benigno “Noynoy” Aquino III, in 2009. The Manila Cathedral also serves as a resting place of former prelates who served in the Manila Archdiocese. Included in those interred in the crypts of the Cathedral, similar in style to that of Vatican City’s St. Peter’s Basilica were Jaime Cardinal Sin, the high priest who is viewed as one of the leaders of the peaceful People Power Revolution that ousted Ferdinand Marcos, Rufino Jiao Santos, the first Filipino Cardinal, Gabriel Reyes, the first Filipino Archbishop of Manila and Michael J. O’Doherty, the last foreigner who is an Archbishop of Manila. Now, the Manila Cathedral serves as one of the most visited attractions in Manila by foreigners and locals alike. It is a modern structure with little Spanish and Roman influence. One can easily say that the stone architecture of the church is sturdy enough to face earthquakes and typhoons. Several statues of saints, colored in white, are placed in the front pillars of the church facade. A phrase in Latin is visible which reads “Tibi cordi tuo immaculato concredimus nos ac consecramus” and roughly means “To thee in thy heart, oh immaculate, entrust and consecrate from us”. Cathedral-Basilica of the Immaculate Conception is currently headed by Archbishop Gaudencio B. Rosales since 2003. The most notable structures inside the church is the wonderful Roman-inspired altar and the uniquely designed ceiling and carvings. Behind the façade, above the main entrance of the cathedral is the choir loft where the pipe organ and 12 leaf stained glass is visible. The magnificent four-manual organ by Pels Organ Makers of Holland, one of the largest in the Far East, gives liturgical music for the services of the cathedral. In addition, world-renowned organists such as Maestro Flor Peeters and Madame Odile Pierre have performed organ recitals in the Basilica. Outside the Manila Cathedral folks sell souvenirs and tour services to both foreign and locals. They can tour you around Intramuros using their “Kalesa” (horse-powered vehicle) at a decent price. Be sure to negotiate the price first before availing the services. Across Manila Cathedral is Plaza de Roma, to one side is the “Palacio del Gobernador” (the former palace of the Governor Generals), to the other side is the “Ayuntamiento” (council of the municipality/district). 300-400 meters going northeast is the Fort Santiago (and Park) and Rizal Shrine. 200-300 meters going southeast is the Casa Manila and San Agustin Church. Manila Metropolitan Cathedral (Minor Basilica of the Immaculate Conception) can be contacted at telephone numbers (+63)(2)527-1796, (+63)(2)527-3093, (+63)(2)527-3889, and (+63)(2)527-3876. 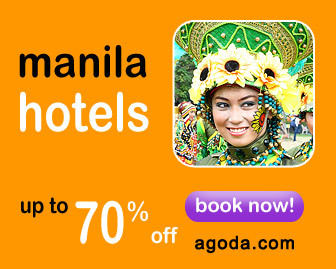 You can also check their website at http://www.manilacathedral.org/ for more information. If you visit the capital city of the Philippines, be sure to see its rich history and culture by visiting Manila Cathedral and the other tourist attractions (stated above) inside Intramuros. Much thanks for posting this. It helped my gathering yet I expected to decipher it. Tanong Lang po, kasi sa kabilang amass San Agustin Church. Pero sa Intramuras racket crude iyon. Magkatabi ba ito, iisa lang o mali sila? I would be extremely upbeat in the event that you could answer to my remark. Thank you very much for posting this. It helped my group but i needed to translate it. Tanong Lang po, kasi sa kabilang group San Agustin Church. Pero sa Intramuras din raw iyon. Magkatabi ba ito, iisa lang o mali sila? I would be very happy if you could reply to my comment. English Translation: Minor Basilica of Santo Niño. Mother and Head Of All The Churches in the Philippines. Actually Basilica Minore del Santo Niño in Cebu City is the “Mother of All Churches” in the Philippines, a title granted by Pope John Paul II. Basilica Minore del Santo Niño is the first and oldest church in the Philippines. I miss Philippines so much. Its really fun and its more fun in the Philippines! kaka mis ang mga simbahan hays. Salamat po mark sa pag share ng mga photos.